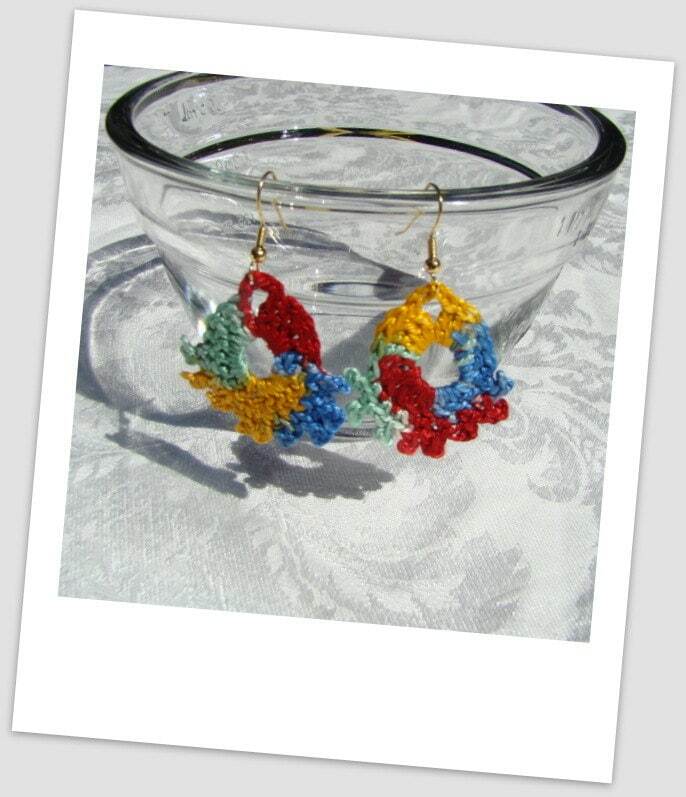 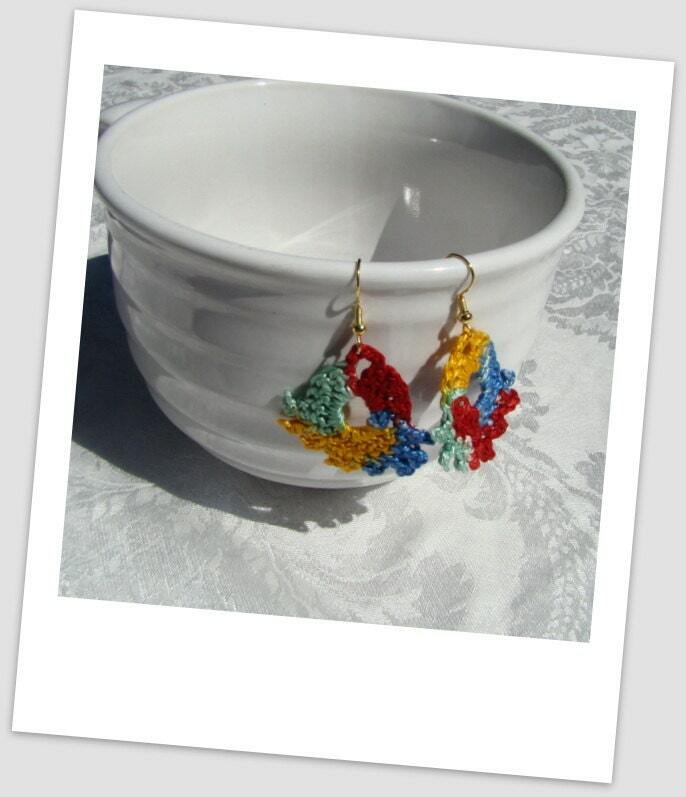 These crocheted earrings in bold primary colors will compliment any outfit! 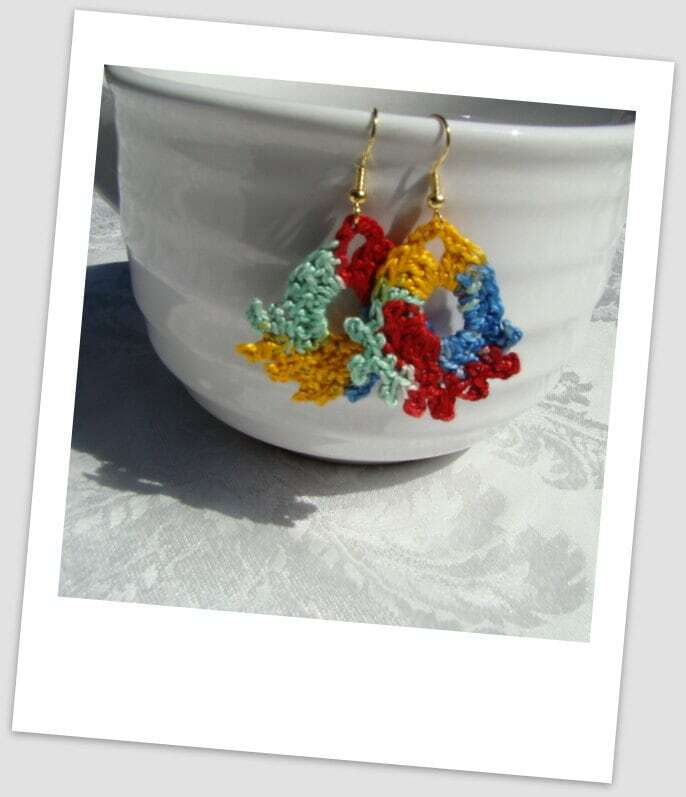 Buy more than one to share with friends! 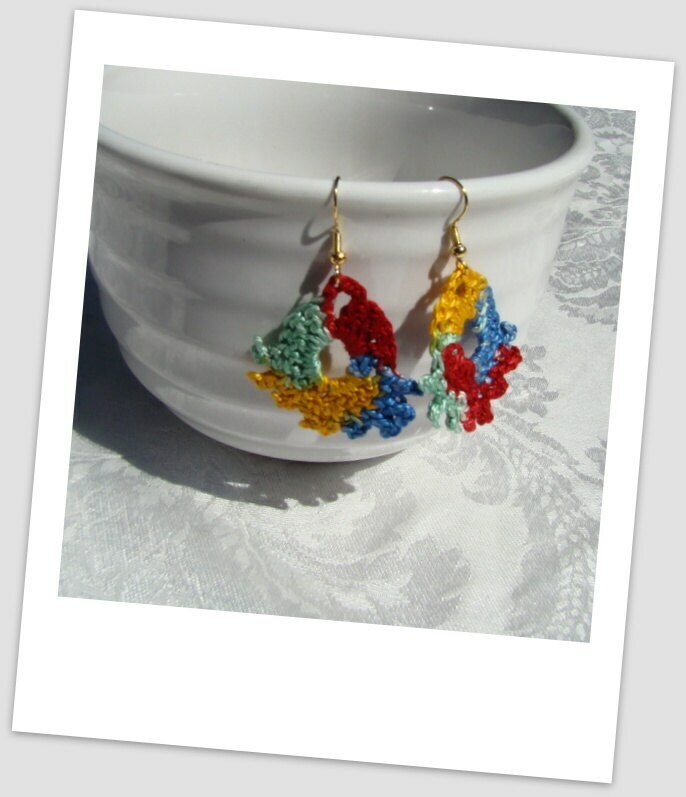 So light and yet so cheerful, you'll want more than one pair!